It’s been four years and loads of secrecy, but J.J. Abrams‘ Star Trek Into Darkness is almost here. Although I have some apprehension about the picture (especially after early reviews were mixed), it remains one of my most-anticipated of Q2 2013, and I’m eager to see the cast back together again. Also, Benedict Cumberbatch never disappoints, and judging from the trailers, he may end up stealing the picture. 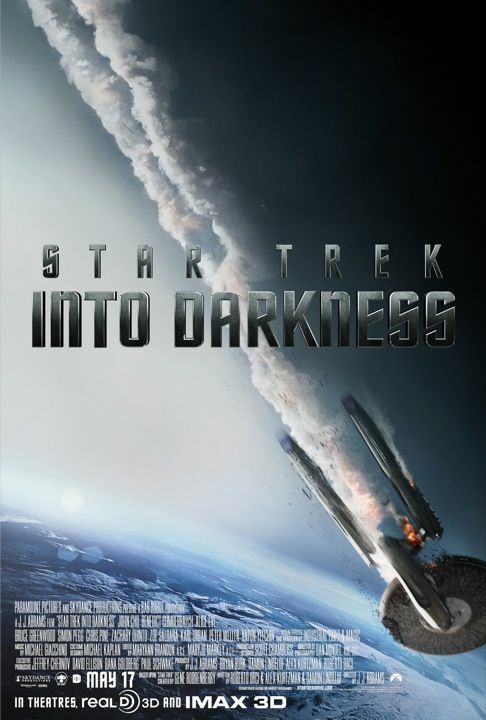 I’m pleased to announce that we’re giving away five pairs of passes to the Atlanta screening of Star Trek Into Darkness. Hit the jump to find out how you can see the film for free. The film also stars Chris Pine, Zachary Quinto, Zoe Saldana, Karl Urban, Simon Pegg, Anton Yelchin, John Cho, and Alice Eve. Star Trek Into Darkness opens in IMAX 3D on May 15th and in 2D and 3D on May 17th. This is going to be a packed screening, so we’re only giving away five pairs of passes. To enter, send an e-mail to Collider.Passes@gmail.com with the subject line “STAR TREK INTO DARKNESS”. The screening is on Wednesday, May 15th at 9pm in 3D at AMC Parkway Pointe, so don’t enter if you think you’ll be unavailable. Please note that a pass is not a ticket. To guarantee a seat, please arrive at the theater early since seating is first come, first serve.